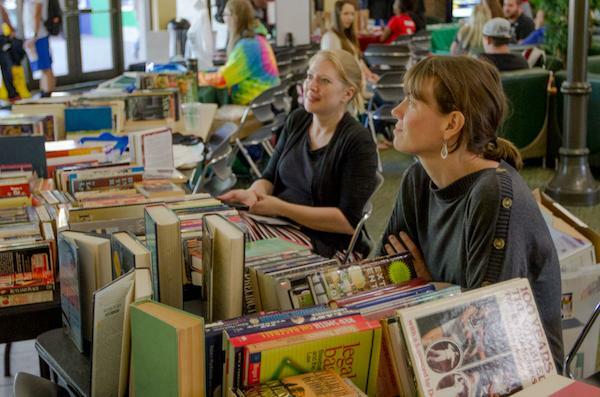 Assistant professor of English Hillary Brewster, a member of the Women's Studies Advisory Board, and Sabrina Thomas, the women's studies library liason, vend books at the Women's Studies Book Sale in the Memorial Student Center, October 4, 2016. Marshall University’s Women’s Studies Program and History Department’s Honor Society, Phi Alpha Theta, will be having their annual used book sale Thursday 8 a.m. to 4 p.m. in the Memorial Student Center. Proceeds from the book sale will be donated to the Women’s Studies Program and the History Department’s students. 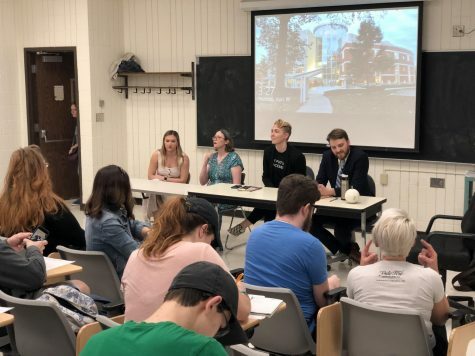 Sarah Reynolds, graduate assistant for the Women’s Studies program, said the used book sale has been an annual fundraiser for the Women’s Studies Program for several years, and the sale has been successful in the past. This is the first year that the two departments joined together for the fundraiser. Books will be available at $1 for hardcover and $0.75 for paperback. The books sold at the used book sale are all donated books from students, faculty and community members, and include genres of books in fiction, non-fiction, biographies, history, poetry and more. Students can volunteer for the used book sale and those who do can receive one of any of the books for free.